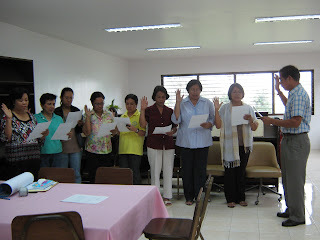 On 06 February 2009, the set of newly elected ALAP board 2009-2010 were inducted by Dean Domingo Angeles of UP Los Baños College of Agriculture at UPLB main library. The event was witnessed by former ALAP board and a number of members. A sumptuous luncheon followed after the induction.